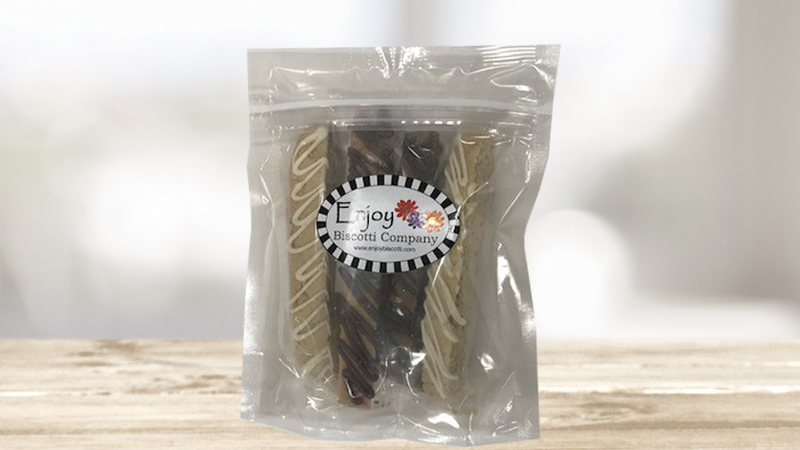 Four individually wrapped gourmet biscotti, made from natural ingredients. Try Frangelico Chocolate Toffee Chunk, It’s All Chocolate Baby! !, Orange Cranberry Toasted Pecan, and Limoncello Cherry. Locally and lovingly handmade and found only in top coffee shops. $6.50 each. View Nutritional Information - It's All Chocolate, Baby! !